If home were to be a successful franchise it could generate interest in a realistic near-term settlement theme park. Visitors could view IMAX documentaries about Mars and space exploration in general, while living in hotels identical to settlement facilities. Several similar ideas have been tried. Unfortunately these space-themed attractions tend to become dated, misleading, and eventually demolished. A home-inspired theme park with hotel facilities resembling Mars research settlements could be modular, purposively built to facilitate structural updates as technology changes. A permanent realistic Martian surface environment could be constructed around settlement simulation facilities to ensure host theme parks invest in updating their Mars-themed hotels rather than scrapping them altogether. 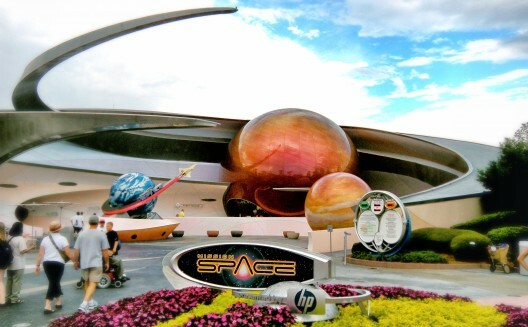 "Mission: SPACE, a motion simulator ride at Epcot theme park, is as close as you can get to blasting off into space without leaving Earth. This attraction for big kids, teens and adults realistically mimics what an astronaut might experience during a space flight to Mars." "The Journey to Mars: After the mission briefing, make your way inside the space capsule—sitting side by side with the other members of your team. Feel the rush of take-off as you embark on a thrill-packed training adventure through space to Mars. 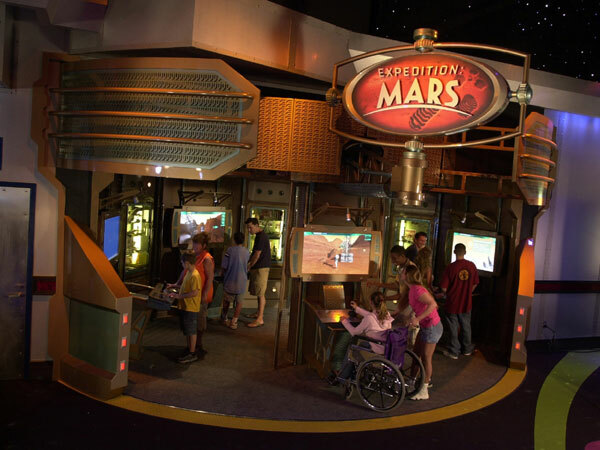 After the attraction, visit the Mission: SPACE Advanced Training Lab, an interactive play space for Guests of all ages where you can compete in Mission: SPACE Race, enjoy an arcade-style game where you can explore Mars on foot, or create video postcards that can be sent via e-mail. "INTERSPACE is a space-themed destination planned for Titusville, FL, by 4Frontiers Corporation's spin-off NewSpace Center, LLC,. "The company has selected a location for its settlement simulation with all the structures and support systems that will be needed. 4Frontiers, through its research efforts, has begun to generate intellectual property covering material science, architectural, eco-technical, mechanical and related habitat items, methods and processes. "While the motion picture industry has brought us cinematic versions of Martain drama, 4Frontiers will bring a hands-on Mars settlement to the masses." Mars settlement-focused simulation and education will attract young minds and plant the seeds of future interest. This will allow many to become more familiar with our ultimate mission. This approach contrasts with distant simulation habitats in the Arctic and elsewhere, which are too remote for public access in significant numbers. Although primarily a demonstration facility, the center will also showcase the company’s latest innovations and provide a public forum for its Mars experts. The company's entertainment and education products and activities will expand and further develop as the center grows. 4Frontiers will strive to make this the world's premiere location for education and innovation in Mars settlement activities. Tourists could choose to buy one day "explorer" passes for $100 or so that would get them a "trip" to Mars and a peek at the surface environment from an indoor building. Those willing to spend somewhere in the neighborhood of $3,500 could stay for a few days as "settlers" playing roles on Mars such as miner, greenhouse gardener or artist. Settlers would wear simulated space suits while on outside the settlement structures. After registration, guests would be taken to a training center to prepare for a simulated space flight. The number of guests would be limited, like at Orlando's Discovery Cove. Founders use the words "high fidelity" a lot when describing the attraction. "This is not going to be about moving more bodies through turnstiles. It's much more immersive and interactive." 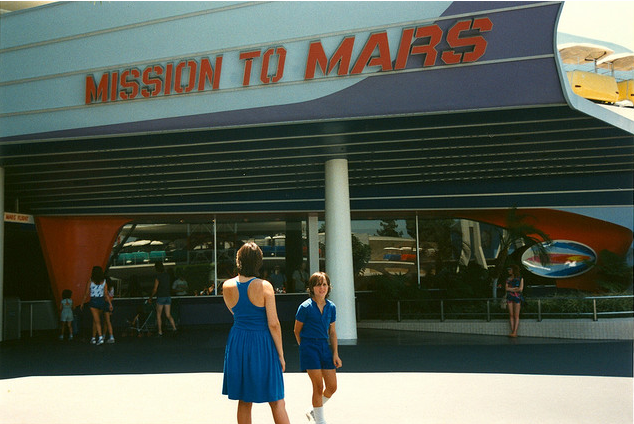 "Mission to Mars was an attraction located in Tomorrowland at Disneyland and at Walt Disney World's Magic Kingdom. The show was designed in cooperation with NASA and was basically a revised and updated version of the previous attraction Flight to the Moon. Guests would be launched on a spacecraft into space and then approach the surface of the red planet Mars. 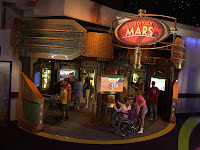 Visitors would first enter a viewing area known as Mission Control, which was modeled after a typical mission control center with chairs and control panels for about ten seated Audio-Animatronic "technicians" whose backs were to the audience as they moved their heads and arms. Facing the audience was the Audio-Animatronic flight director Mr. Johnson. He would then talk and show film clips to explain how humans had made numerous advances in space travel and manufacturing in microgravity, and also learned how to deal with the effects of space. The seats in the attraction would simulate the vibrations and G-forces from take-offs and landings by filling up with compressed air. Finally, the spacecraft landed safely back on Earth and Officer Collins would then urge guests to return and visit again. As he explained, "there's a lot more to see on Mars". 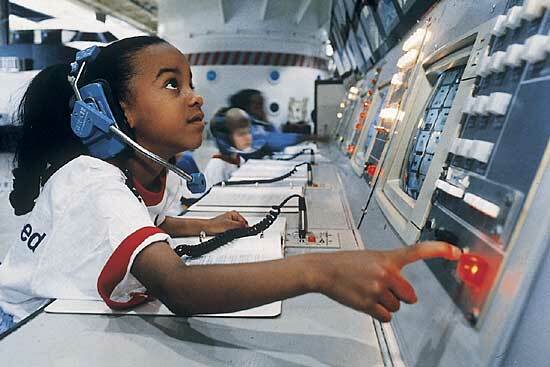 "SPACE CAMP was founded in 1982 as the U.S. Space & Rocket Center museum’s education program to promote the study of math, science, and technology. This educational program couples classroom instruction with hands-on activities and teaches teamwork, decision-making, and leadership. Camps are available for fourth grade through high school-age students. Additional programs are available for trainees who are blind or visually impaired, and for the deaf or hard of hearing. "Space Is Special" is a program for special education students. 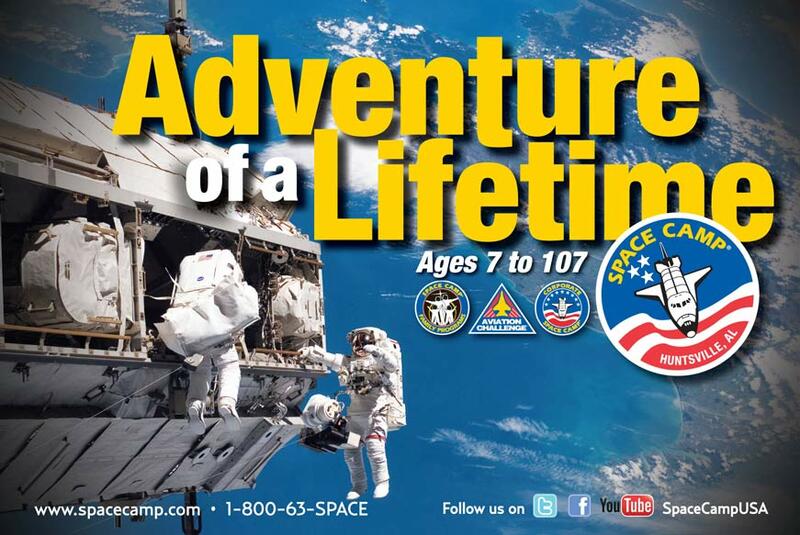 SPACE CAMP programs are also available for adults, and special camps have been designed for educators and for corporate groups. 93% of the alumni said they took more science courses, particularly physics and chemistry, in the years following camp; 91% reported taking more math; and 74% said they learned about careers. Assessments reveal that students showed a 21% gain in knowledge and understanding of the scientific process and a 47% gain in the knowledge and understanding of the importance and significance of past, present, and future space exploration. "Trainees will prepare to become the new generation of explorers, with hands-on activities that place them in the role of spacecraft designers and astronauts. Trainees experience walking on Mars in a 1/3 Gravity Chair and feel what it’s like to work in a Martian environment in our Manned Maneuvering Unit. "Advanced Space Academy trainees are immersed in science, technology, engineering and math (STEM) while focusing on college and career preparation. Extended-duration missions give trainees more teamwork experience to prepare them for real world leadership and teamwork. During this weeklong program, trainees get hands-on training, as well as learn about the mental, emotional and physical demands astronauts, engineers and technologists must face. Trainees experience microgravity in our Underwater Astronaut Trainer* and a tumble in our Multi-Axis Trainer. The Advanced Space Academy program is a college-accredited program through the University of Alabama-Huntsville (UAHuntsville). Students earn one hour of freshman-level general science credit. you will fly missions, explore the past, present and future of space flight. Get ready for a weekend of non-stop activities that involve space flight history along with realistic, simulated space missions. "Family Space Camp encompasses mission training and operations, rocket construction and space history in one of the world's largest space history museums. The program is designed to give families an overview of space exploration, while experiencing very real simulations. Trainees will experience the excitement of an IMAX or a 3-D Movie. They will also build and launch (weather-permitting) model rockets and train like astronauts on simulators developed by NASA, including the Multi-Axis Trainer and the Manned Maneuvering Unit. All of our Family Camps include on-site meals and lodging. Parents and children are housed together.